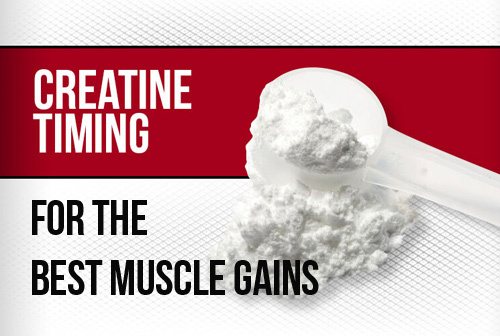 Supplementing with creatine WILL improve your gains. You’ll get bigger…quicker. And I can say that matter-of-factly because every scientific study has shown this to be the case (and also proved that it is safe – read this). How it works is a little more complicated – but I broke that issue down in detail here if you need to know. How should you time your doses to maximize the effect? Because some people are screwing this up royally! So let’s say you train from 6pm – 7pm in the evening. The best time for you to take creatine to maximize gains is at 7pm. Simple. So throw 5g creatine into your post-workout shake. This “post-workout” creatine supplementation will also help hydrate muscle tissue and totally optimize protein synthesis levels. Even better, it decreases muscle catabolism (muscle breakdown) during the post-workout period. All of this maxmizes “protein accretion” levels i.e. the difference between protein synthesis (build-up) levels and protein catabolism (breakdown) levels. 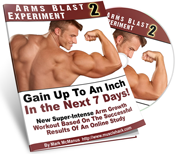 The result: You simply build more new muscle. My recommendation? MyProtein Creatine and AST Creatine (US links). MyProtein Creatine and AST Creatine (UK links). 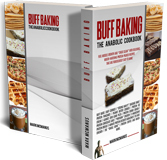 It is DOUBLY important when cutting to supplement with creatine as this is when people tend to lose hard-gained muscle (people who don’t how to get shredded correctly – please see my Body Fat Furnace system or my Coaching Service to let me help you with that). Keep your muscle, guys & girls! Use creatine. So the idea with creatine is to completely saturate our muscle cells with creatine by using a loading phase. Then we maintain this saturated level by taking a smaller (5g) dose every day (yes including non-training days). After that, even on non-training days, take 5g per day in your post-workout shake. If you do this, you are supplementing with creatine in the best way possible and maximizing your gains! 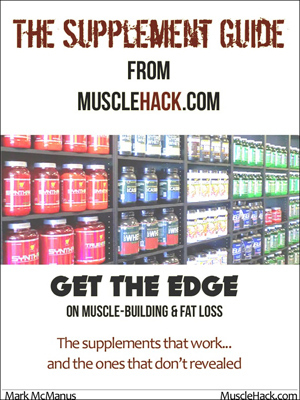 NOTE: If you want to know about all the other popular supplements out there and are confused as to which ones actually work, I created a FREE supplement guide for you! It reveals all the supplements that work, the ones that don’t, and the ones that are actually dangerous. 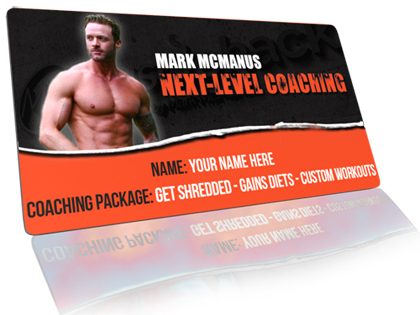 Get this and keep it with you – it’ll save you a ton of money! If you’ve any creatine questions, go ahead and ask me below. Wow. So I’ve been getting this wrong. I take before training. And in the morning on rest days. So, what about those who are working out first thing in the morning? How are they supposed to supplement with creatine? Why is it better to take it in the evening? Is it better absorbed when you go to bed after having taken creatine? What about the recommendations to take it with simple sugars like juice? Thanks Mark for the clarification! What would be the best timing for creatine on rest days? In the morning together with the protein shake? So no more adding Creatine to my intra workout shake? I will take the 5g dose after when I get home from the gym for best results. However, I do train in the morning, (best time for me). Timing is not that important, once you’re muscles are saturated with creatine all you need to do is take 5g everyday at anytime of the day. I find I suffer from uncomfortable bloating doing the 5 x 20g loading phase so I do 10 x 10g instead. You state to still take 5g on rest days in post workout shake. However, you won’t have a post workout shake? So, on rest days when is best or does it not matter. @Fabrice. In the morning, take your creatine after you finish training in your shake. Caffeine *may* have a negative effect, not a positive effect. But you would have caffeine before training anyway, at least 30 mins before and creatine after finishing, so it shouldn’t be an issue. Whey protein stimulates a release of insulin, there’s no need to add sugars for insulin. Many people say differently, but they’re usually ignorant (and fat). @Andreas. On rest days, any time except morning, since it is utilized better later in the day. A specific time is not important on rest days. @Jason. Yeah if training in the morning, take it after training. I take it intra, but I train at 4pm at the earliest. @Fracisco. The studies show that timing clearly is important. @Ikky. That’ll work. Just will take a little longer. @Kevin. It’s not important so long as it’s not first thing in the morning, as studies show it is used better if taken later in the day.